"Perhaps that's the saddest thing here. The local papers were ignored and left to die. The soul of local, small-town journalism in our country is being laid to waste because there are few good ideas about how to make a paper. Without anyone to cover the story, nobody would know even if there were." -- Dave Bidini, publisher of the West End Phoenix, a monthly community paper published, in a Globe and Mail opinion piece about the swap-and-closure by Torstar and Postmedia Toronto. The news released on Monday about the swap of some 40 daily and weekly titles in Ontario between Postmedia and Torstar -- and the imminent closure of most of them -- is a tragedy for small and medium-sized towns and cities. While the acquirers/swappers can rationalize the outcomes as just business, local news and information is taking a real hit. This kind of sweeping consolidation means that local content will not be replaced and readers will be taking a hit, as will the people who have been employed reporting and producing local news. Torstar says it expects the deal will result in cost saving synergies of between $5 and $7 million. It is not known what savings Postmedia expects to achieve. The Torstar closures, which are effective immediately, will affect 46 full-time and part-time employees; a total of about 250 full- and part-time employees will lose their jobs at the two companies as a result of the transaction. The usual recent excuse -- that printed papers would be displaced or replaced by online versions -- is not even being suggested; essentially, the casualties are being attributed to failing business models, where declining advertising revenues means the publications have outlived their traditional business models. The dailies St. Catharines Standard, Niagara Falls Review, Welland Tribune and Peterborough Examiner will continue to operate. Some longstanding titles are likely going to disappear as a result of the swap, such as the Barrie Examiner, Orillia Packet and Times, the Fort Erie Times plus several dozen smaller community weeklies such as the 150-year old St. Marys Journal Argus. The same fate is true of Torstar freepapers under the Metro banner in Ottawa and Winnipeg, which Postmedia will likely close in favour of their own free-circulation weeklies. Torstar has in turn acquired freepapers 24 Hours Toronto and 24 Hours Vancouver. from Postmedia and will probably shut them down. -- Guardian editor-in-chief Katherine Viner, in a speech to staff, published in Press Gazette. She warned that the dominance of the "duopoly", Google and Facebook, was crushing the current business model supporting journalism as they “swallow digital advertising”. Gold: SavvyMom.ca/ Maple Media Ltd.
Full list of finalists and winners in academic, business and consumer categories. The Alberta Magazine Publishers Association is presenting a webinar called"Ad-Edit Guidelines in a New World" on November 30 at noon MDT. The presenters are Outdoor Canada editor in chief Patrick Walsh and Vancouver-based journalist Charlene Rooke, an expert on custom content. Walsh chaired two Magazines Canada task forces that resulted in the current Canadian Magazine Industry Code of Reader and Advertising Engagement. The guidelines were intended to preserve the distinction between editorial content and advertising, so the distinction is transparent to the reader. The webinar is $35 for AMPA members and $50 for non-members and registration is valid for individuals or teams. -- Maurice Mierau, editor of The Winnipeg Review, explaining why the online publication is ceasing publication after the current issue. [from Quill & Quire]. The Review was founded in 2010. Life in Québec magazine has announced the end of the publication after 5 years. It’s not because the quarterly magazine was losing money, say the publishers -- each issue either broke even or turned a small profit. It's not because print media is dying, although print media is certainly going through a period of considerable change. When we launched Life in Québec magazine, there genuinely was nothing quite like it in Québec [said a statement from the publishers]. English-language publications in the province essentially fell into two broad categories: Montréal-based publications that showed minimal interest in Québec outside the 514 area code, and local publications that catered to pockets of small but vibrant Anglophone communities throughout the province. We launched Life in Québec magazine to prove that there was a market for a broad range of content about Québec as a whole in the English language without the English language or Anglophone communities being the focus point of our content, and in a manner that fully appreciated and embraced the Francophone reality of Québec. In this, we feel we more than succeeded, and can now end regular publication of Life in Québec Magazine with immense pride. Published by Média Trois Canons Inc., the magazine was launched in November 2012 in Quebec City, as a lifestyle magazine published in English (it had started online in 2010), and containing bilingual (English-French) feature articles, columns, book reviews, a business directory, and more. The magazine is supported by advertising and subscription revenue. All of the articles were usually also uploaded to LifeinQuebec.com. There are a number of wacky magazine writing contests out there. 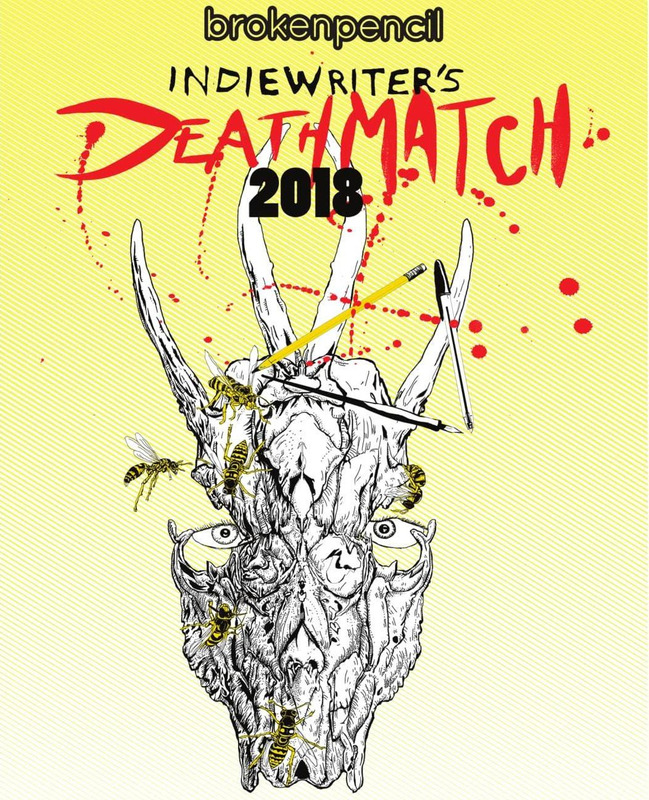 But Broken Pencil is a front runner as it continues into its second decade successfully running its Indiewriter's Death Match, which it describes as the world's most dangerous short story contest. The winner of the contest has to convince more than 100,000 readers to vote for their story online. The top 16 stories battle it out online complete with reader voting, author trash talk and lots of comments. It’s fun and crazy and all about finding and promoting new voices! The Ultimate Literary Makeover: including meetings with: an editor, a literary agent, and an acclaimed author giving feedback on their writing, guidance about entering the publishing industry, and telling you what to do next. The National Media Awards Foundation and Magazines Canada have announced the merger of their respective awards programs into one. Starting December 1st, the National Magazine Awards will be a unified program of 29 categories to honour the outstanding achievements of our industry’s best creators and publishers, and reflect the exciting future of Canadian storytelling—the stories and perspectives that make it unique. Open to all Canadian creators and publications in both official languages, the National Magazine Awards recognize our country’s diverse communities of readers. “We are delighted to enter into this new chapter with Magazines Canada to amplify our shared purpose of championing the breadth of excellence and creativity in magazines through one awards program,” said Nino Di Cara, President of the National Media Awards Foundation. Last year, for the first time, the Magazine Grands Prix awards were launched by Magazines Canada in effective competition with the NMAs. Now, after extensive discussions, the merger will blend the two, with the NMAs being given for writing and visual categories (as they have been for 40 years) and Grands Prix awards being given for best magazines in six categories.Plus two special awards will be made during the 41st annual awards: The Magazine Grand Prix for best magazine; and the Foundation Award for Outstanding Achievement,which recognizes an individual for innovation and creativity. A third of the NMAF Board will now include magazine community members, who will be appointed in consultation with Magazines Canada. Jessica Johnson, executive editor and creative director from The Walrus, and Dominique Ritter, editor-in-chief from Reader’s Digest Canada were the first such appointees. The NMAF has also appointed two new executive members for 2018: Canada’s History Publisher Melony Ward has been elected vice-president for the National Magazine Awards program, and CBC News’ chief of staff Kenny Yum vice-president for the Digital Publishing Awards program, which had for several years been operated by the NMAF. The complete list of NMAF Directors. Below are the categories for the awards. Members of the magazine media community are invited to attend ‘Showcasing Success’, an industry networking event on November 2 in Toronto. Representatives from both Magazines Canada and the NMAF will be in attendance to celebrate the new relationship and share more information about the awards program.